Tickets: Available at the box office in the Arts Barns at several satellite box offices during the festival, at Tix on the Square, over the phone at 780-409-1910, and online at fringetheatre.ca (prices vary). Program books and daily discount tickets are featured at onsite locations. With a mighty roar, fringe mania will soon descend upon Edmonton. 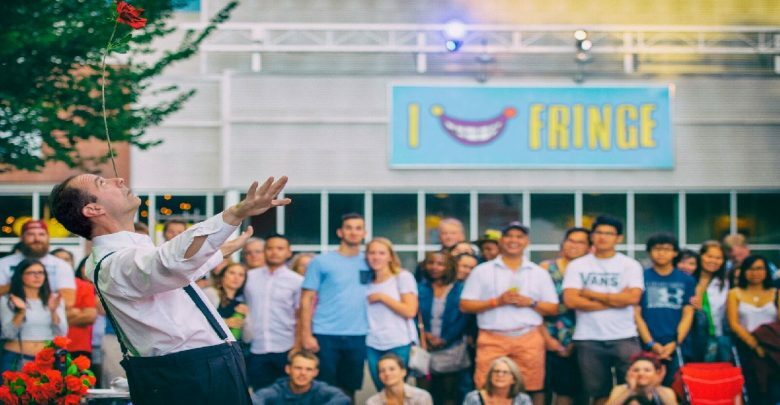 The 37th annual Edmonton International Fringe Festival launched on August 8 at the ATB Financial Arts Barns in the heart of Old Strathcona’s theatre district. 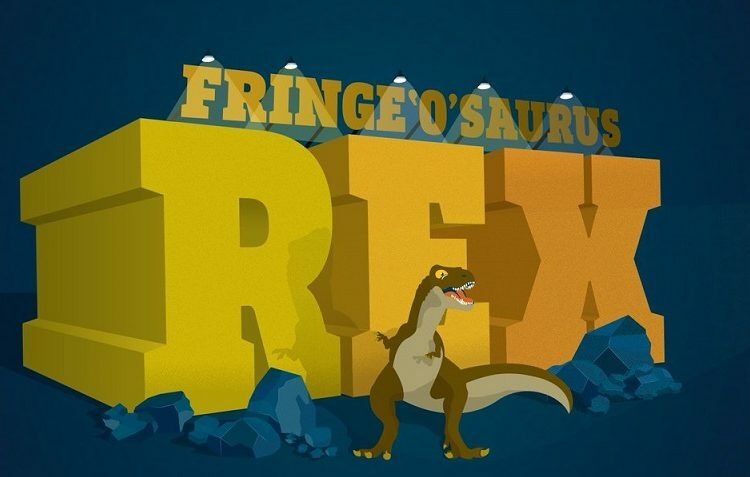 Running August 16 to 26, this year’s festival has the theme “Fringe ‘O’ Saurus Rex,” and features 227 productions across 39 venues. Produced by Fringe Theatre Adventures, the Edmonton Fringe is a hotbed for local, national, and international theatre arts. The oldest and largest fringe festival in North America (second in the world only to the Edinburgh Fringe), the Edmonton Fringe hosts innovative, eclectic, and diverse new work. From clown to drama and from improv to the avant-garde, the Fringe’s non-curated, uncensored lineup offers a variety of audience experiences. Murray Utas, Artistic Director of the Edmonton Fringe, says the “Fringe ‘O’ Saurus Rex” theme will be manifest on the festival grounds throughout the 11 days of fringing. The festival is showcasing Jurassic Park jeeps and dinosaur mascots, and has partnered with a U of A paleontologist. The dinosaur motif will feature prominently at KidsFringe, the festival’s family-focused area, which will include dino-themed crafts and stilts with dinosaur feet and tails. 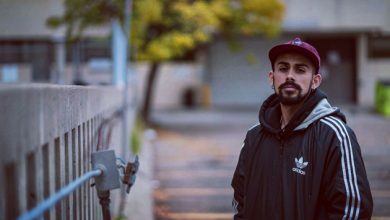 On August 21 at 8:00 p.m., local theatre artist and Fringe associate Hunter Cardinal will be hosting an Indigenous youth council focused on the futures of storytelling. 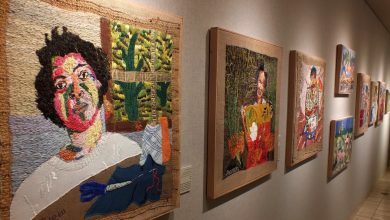 The conversation will be open to the public and will feature four young Indigenous theatre artists: Lady Vanessa Cardona, Todd Houseman, Josh Languedoc, and Cardinal himself. They will discuss questions Cardinal sees as important to the creation of “Indigenous futurisms” in Canada. Cardinal says he finds that the lack of Indigenous futurisms — visions of Indigenous peoples in the future — means that they may not be seeing themselves in the future. Cardinal thinks the Indigenous youth council will be a great opportunity to discuss where young Indigenous artists want to go moving forward. ‘For me, it’s gonna be a great opportunity to actually sit and talk about the things that matter to us and where we want to go,” Cardinal says. Stay tuned for more Fringe coverage here at The Gateway. 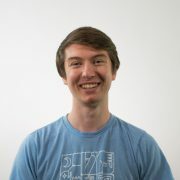 Jonah Dunch is in his third year of a BA Honours with a major in philosophy and a minor in drama. Aside from his work at The Gateway, Jonah writes, directs, and acts in plays. He eats your clicks for dinner.